Philadelphia Union began their offseason additions on Friday morning, announcing the signing of striker Sergio Santos. The 24-year-old Brazilian comes to the Union from Audax Italiano in the Chilean Primera Division, where he scored nine goals in 16 league appearances in 2018. That number was good for 10th in the league in scoring. The Union used Targeted Allocation Money (TAM) to pay down Santos’s salary below the Designated Player threshold, and paid an undisclosed transfer fee — $500,000, according to Chilean reports and Philly.com — to complete the signing. The signing is Tanner’s first as sporting director, and suggests a shift in focus. Where Earnie Stewart mostly looked to Europe for talent, and signed players later in the offseason, Tanner brings Santos in from South America and does so well before the start of the new year. Tanner will speak more about the signing at an 11:00 a.m. press availability. The Union now have three strikers on their roster, as Santos joins C.J. Sapong and Cory Burke. It remains to be seen whether Sapong, who has been rumored as a possible trade piece, is in the team’s plans for 2019 after a disappointing 2018 campaign. I like it. Looks like someone who can make his own shot and has the speed to break past defenders, unlike Sapong/Burke. And if Tanner wants to implement a higher, pressing system, he can jump on turnovers and make something happen. 6’, 180, fast, young, looks like he can score, and is signed before preseason….Merry (Doop) Christmas! What does 6’ 180lb have to do with anything ? Haha. do yourself a favor today… listen to the song. The Union signed a striker! At a position of need!! And they paid a transfer fee!!! What alternate universe is this??? Great. We paid a premium for someone “ready to step up”. Can we just call this the Josue Martinez – Brian Brown – Jay Simpson – Sergio Santos Rank Speculation Roster Spot and Waste of MLS Funny Money? nihilism is an awfully barren existence. Obviously we’d all love a new ownership group…. as it is a new Sporting Director cane in offloaded some dead weight and made an immediate striker signing. Video shows joy in his play, a touch of the Ilsinho ball control, an ability to work in- and out-exchanges with his midfield, and most importantly an ability to finish (At 4:00, goal scored while carrying a defender and being face guarded by the goalkeeper? Nicely done, if not pretty.) I hope that the initial scene of him working the officials is not his primary response to adversity, but the rest showed creativity, and both a willingness and ability to beat defenders off of the dribble. That will be refreshing to see up front. Who knows, even if played out wide or in a different formation, we might actually see some goals from Sergio. Boa sorte, Sergio. Bem vinda, y junta se ou morra. 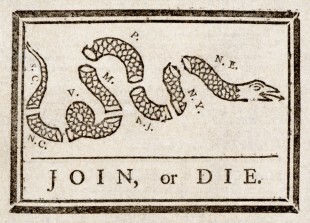 (Good luck, welcome and join or die.) I hope that this is a sign of good things to come for Sergio and the boys. Tanner already > all who came before. Agreed. Getting business done before preseason is a huge step in helping a player settle in with a new club and living in a different country. That alone will help with a player’s acclimation. Tanner also knows how to do press conferences in a way that is honest and forthcoming while still getting the fan base excited. I don’t think that Stewart ever understood the second part of that equation. It is all truly remarkable, but why should anyone be surprised by this fan base. AND BEFORE TRAINING CAMP… BEFORE!!!! and it’s only 12/14?! i mean we’ve literal MONTHS left to do other things. we didn’t even sign Accam till 1/19 (the last time we opened the “early” signing sarcasm), so, i mean, work’s done. just kick back and fart around for 3 weeks. I have been conditioned to withhold all judgement until we see a few regular season games out of the new signings. But signing someone of note before New Year’s is a positive step. Now let’s hope his Chilean highlights translate to MLS.